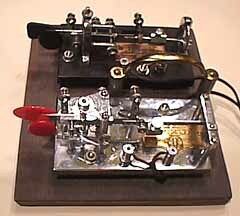 I was meandering around the web this morning and stumbled on to a page where famous key collector and curator Tom Perera W1TP had re-created the morse key setup used by Walter Winchell to introduce and punctuate his radio and later TV broadcasts. They were a pair of Vibroplex bugs. I grew up in Sydney in the 1950s and remember how radio station 2UE would start their news bulletins with a brisk CQ CQ. They were probably inspired by Winchell. Another memory is watching ‘The Untouchables‘ on TV with narration by Walter Winchell. 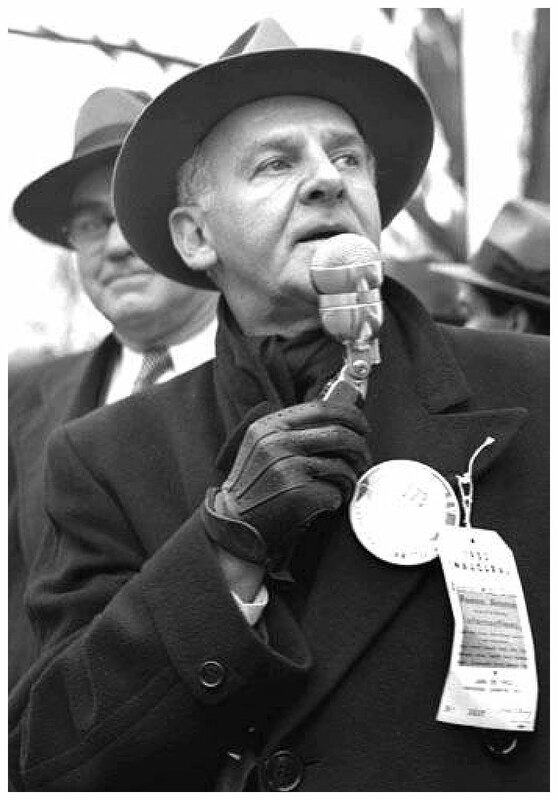 It’s worthwhile reading Walter Winchell’s Wikipedia entry while you listen to and occasionally watch an archived TV show of his from December 1953. Ironically in his early years as a gossip journalist he was close to prominent criminal identities and later became friends with J. Edgar Hoover. He was Jewish and in the lead up to the second world war was one of the first Americans to criticise Hitler and those in the US who supported him. Another of his targets was isolationist Charles Lindbergh. His fame followed his reporting the famous kidnapping and subsequent trial. From the clip you can hear the rapid-fire delivery. In many ways it’s like a precursor to much of what we consume today. He attacked the Klan and its supporters. After the war he aligned himself with the Senator Joe McCarthy’s hunt for communists. But within this short clip there are a couple of places where he briefly questions a couple of issues that were to haunt the US for the next couple of decades – Vietnam and cigarettes and cancer. Complex and probably unattractive, what I want to know is if he actually knew how to handle those Vibroplex keys.